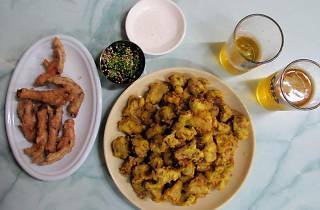 “Gamaek” is a combination of the words for store (ga-gae) and beer (maek-ju). Jeonil Super is definitely the most famous for their dried pollock, but there are other gameak places just a block away. Yeongdong Super is known for their chicken feet and wizzards. Apparently, film director Hong Sang-soo visited this place too. One of the oldest gaemaek places, Chowon Super, serves chewy grilled pollock with their delicious sauce. They may look simple, but I bet you can't taste their special dishes anywhere else. 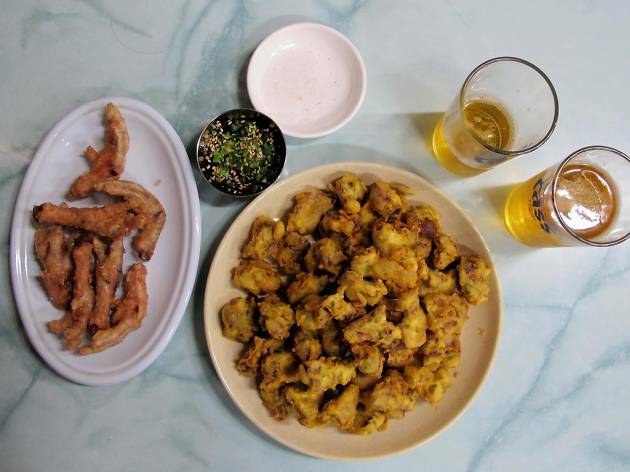 Chicken 13,000 won, Beer 2500 won.